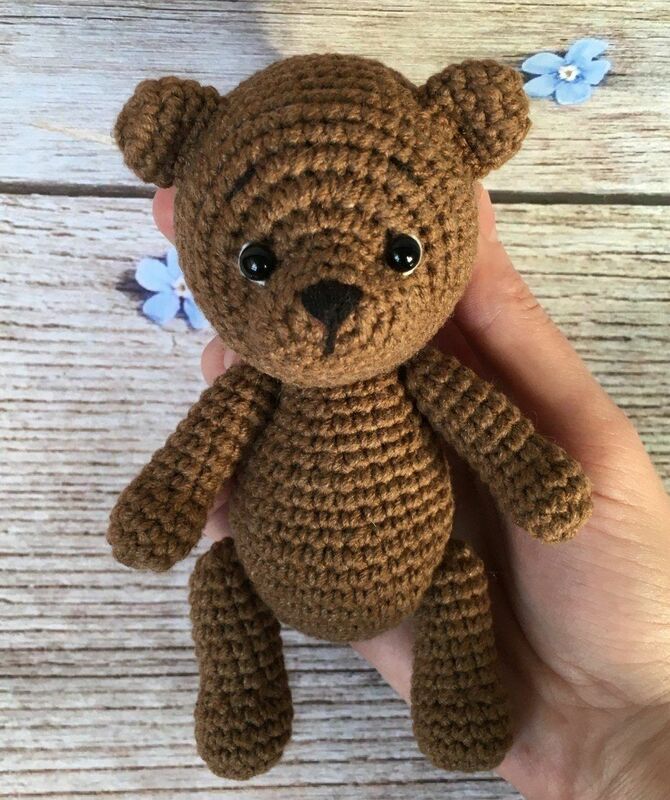 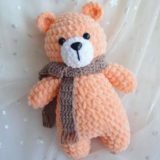 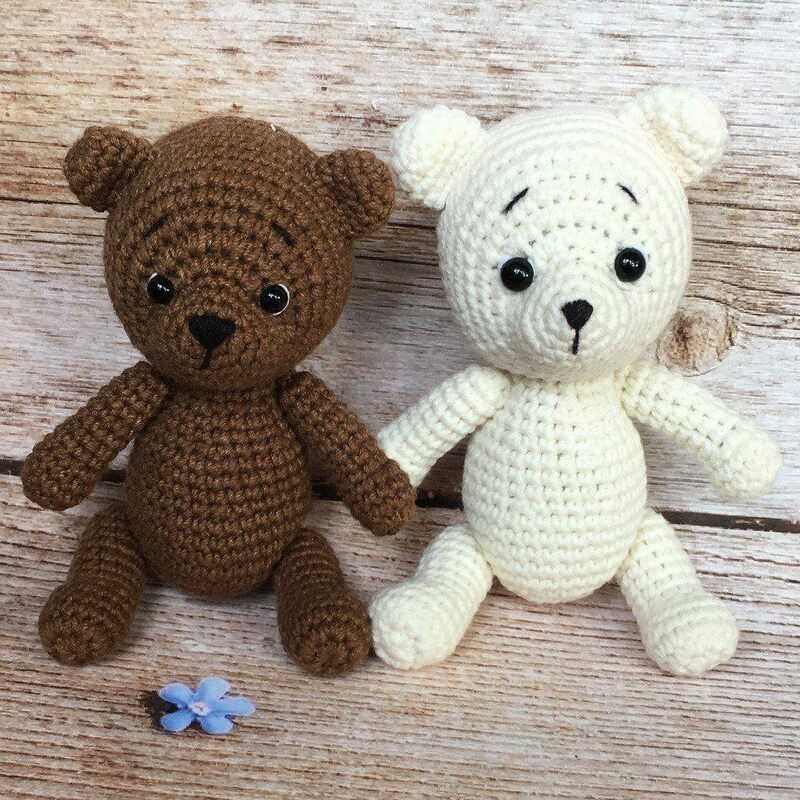 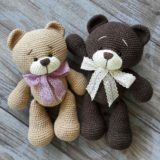 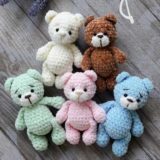 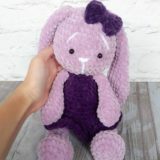 You can make your own teddy bear with this free amigurumi tutorial. 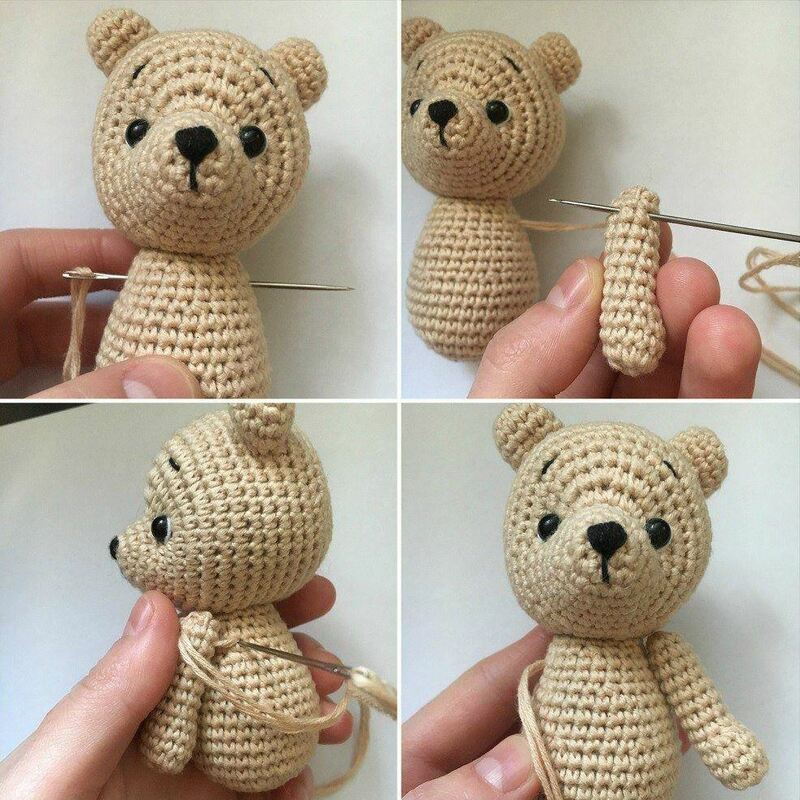 To make this bear you need YarnArt Jeans yarn and 2.00 mm crochet hook. 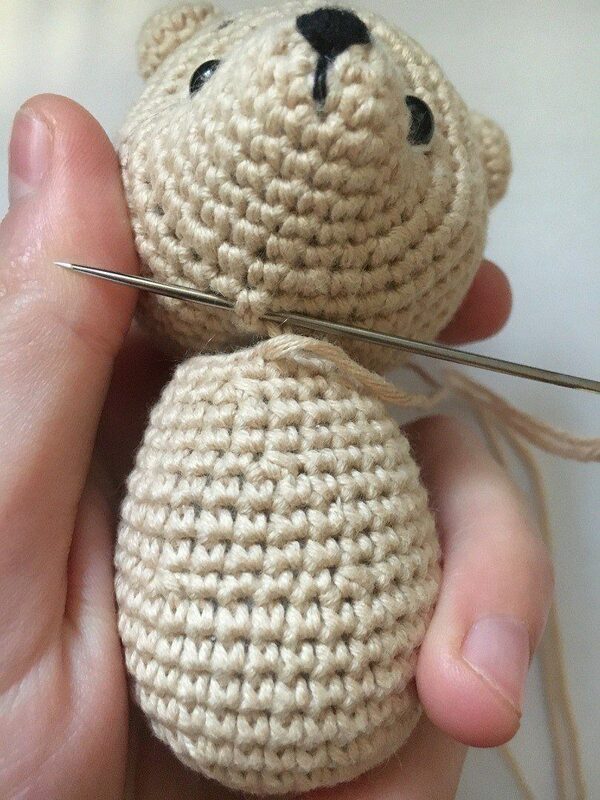 The height of finished crochet toy is about 12 cm (4.7″). 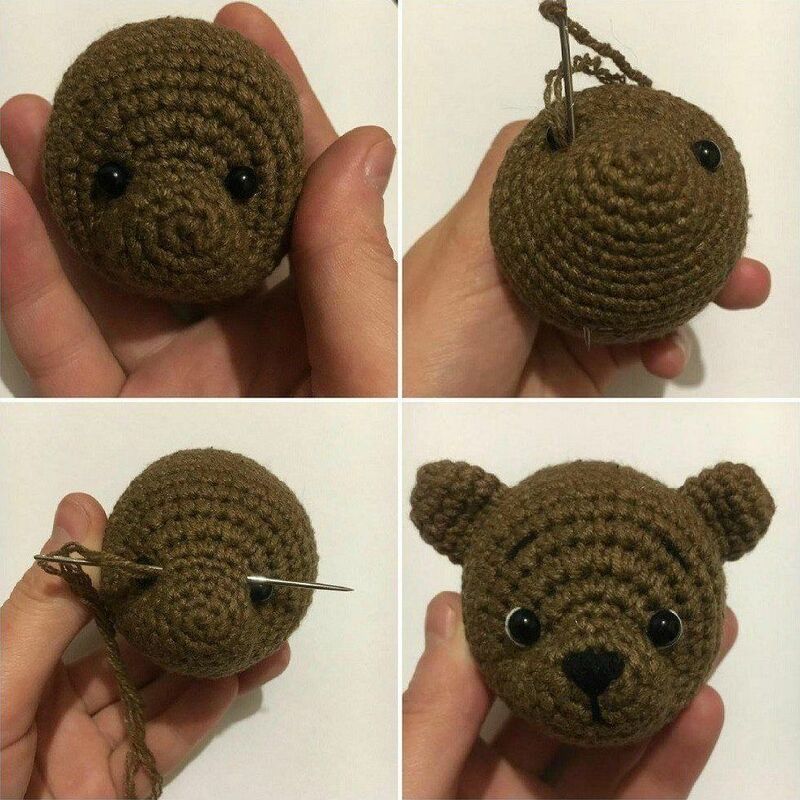 Embroider eye whites, eyebrows and nose.